PR agencies are often guilty of undervaluing their work for clients. John Owens finds an industry with an inferiority complex, nervous about discussing fees but desperate to win business. Undercharging: the PR industry undervalues itself. Due to their erratic and often arbitrary nature, it is doubtful that an educational institution such as the Harvard Business School would have on its syllabus ‘Fees: 101’. "Stick a finger in the air and see what you come up with," is how Stuart Pocock, CEO of matchmaker Roth Observatory, describes the setting of fees among even the most successful PR agencies. Set this in the context of an industry striving towards greater respectability and the observation is an alarming one, as it is no secret that PR has long cast envious glances towards the sums that professions such as management consultancy and corporate accountancy habitually generate. 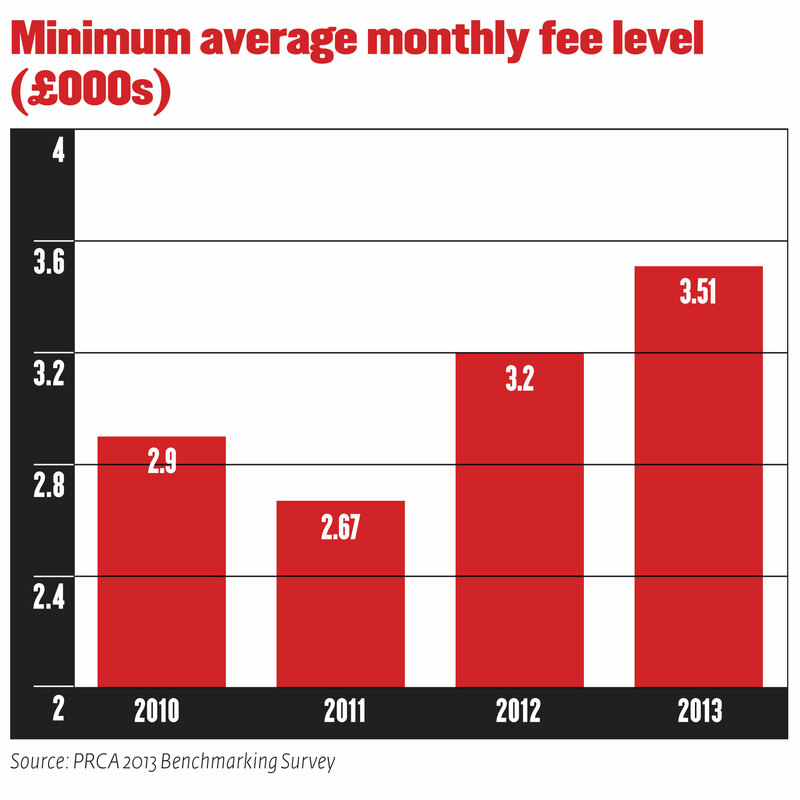 Post-credit crunch and regardless of the debate as to whether we are in economic recovery yet, agency rates have started to improve, with indicators such as the PRCA’s minimum average monthly fee level climbing 21 per cent to £3,510 in the past three years. Neither the PRCA nor the CIPR currently have plans to recommend fee benchmarks for agencies or individuals to follow. The CIPR cites the "diversity of contracts" as a reason for this, and the PRCA says "benchmarked figures should be used only as a guide to best practice on agency remuneration". Despite encouraging signs, concerns persist that many agencies are missing out when it comes to getting the right price when asking clients to sign on the dotted line. Pocock says roughly 60 per cent of the PR agency pricing he deals with needs improvement and other industry voices express a more profound concern. Michael Murphy, former global CEO of Grayling and founder of advisory agency Michael Murphy &, says efforts to professionalise the industry have not translated into pricing, stating that "the PR industry undervalues itself". "This is about an insecurity complex. It’s a desperation to win business at all costs and pick up the pieces afterwards," he adds. "Bigger firms are less squeamish [about fees], but a lot of PR agencies don’t like to talk about money – they hide it at the end of a presentation." With typical pitch preparation costs of £10,000, and allowing for squeezed fees after that, a "huge amount" of agency work is done at cost or at a loss, according to one senior industry figure. A survey by pollster Question & Retain for PRWeek has revealed that 37 per cent of agency heads quizzed on the matter admitted agencies reduced rates to unprofitable levels sometimes or always in the pursuit of business. Worryingly, 24 per cent said the practice took place more than it did five years ago, with 14 per cent saying it took place less. A look at figures released by intermediary AAR last year reveals that PR is still behind advertising when it comes to rates-per-hour for top-level consultancy. The average charge-out rates for advertising consultancy at CEO level were £387 an hour, compared with £314 for the equivalent skill-set in PR. A similar trend can be seen elsewhere in the business, with planning and creative heads earning one third less than their advertising counterparts, according to the intermediary. The PR industry also has some inherent hurdles to overcome if agencies are going to achieve fair remuneration. CIPR president and Ketchum digital and social media director Stephen Waddington points to the low barriers of entry into PR as placing a downward pressure on pricing. "Anyone can set themselves up as a PR consultant these days with very limited overheads and charge what they want, which adds to fee confusion," he points out. In addition, contracts are frequently opaque and therefore more difficult to price correctly due to the nature of PR work. However the issue is approached, industry trends will force agencies to raise their games whether they like it or not. Digital work, including social media, will continue to be a lucrative space for agencies to operate in, but Chatsworth CEO Nick Murray-Leslie warns that clients are becoming increasingly savvy. "The newness of digital is having an inflationary effect that may be disproportionate. It is good for agencies but is it good for clients? They’ll get wiser," he ventures. An increased focus on procurement from clients also adds to the squeeze on fees, and some sources suggest that this can lead to a scything of prices by anything between ten and 50 per cent. Facing bean counters who can barely differentiate between paperclips and creative ideas when it comes to costs may be a painful and reductive experience for agencies, but it is an educational one. As Siemens head of external relations Anne Keogh asserts, as long as there is room to work together with an agency, procurement can offer a "level playing field". This makes agencies scrutinise their own internal practice, pricing included, she says: "Procurement means a more uniform process for agencies, and can help them be more efficient and avoid pitfalls such as overservicing." The decline of the agency retainer and the shift to project work can only lead to further strain between agencies and clients, as agencies are given less time to measure client needs at the beginning of a relationship and are thrown into the strategy deep end to prove themselves. But Esther Carder, partner at marketing services accountant Kingston Smith W1, says: "This gives agencies the opportunity to price work individually and do it right rather than getting stuck with an unprofitable retainer." The PRCA’s 2013 Benchmarking Survey showed that just 28 per cent of agencies offered a form of payment by results or pricing models that are focused on charging by the hour and by the seniority of staff. The industry now needs to concentrate on this potential return on investment and transfer this practice into evaluating the cost of proposed work. Both Pocock and AAR business director Alex Young admit that this is a difficult task and point to wide disparities in pricing when responding to a client’s proposed budget. Young says: "Where PR agencies tend to let themselves down is in not providing a breakdown of their costings. It can be a case of ‘this is a great idea, let’s make it fit’ and this can lead to [financial] misestimation by the agency." Bringing in commercial directors may be desirable but it is not always affordable. However, doing due diligence by putting prices to the ideas being pitched is, and so is engaging more closely with a client’s commercial team. Murray-Leslie claims PR people "often shy away from the importance of the financial cycle". "To understand a client’s financial cycle is to understand its business. This helps us to come to a healthy price with the client. It’s about realising that the CFO is easily as important as the COO or comms director," he explains. W founder Warren Johnson says there are now movements beyond the core pricing model and agencies should look at taking a stake in newer clients, especially in burgeoning sectors ripe for investment. He cites tech start-ups and restaurants, including his client MEATliquor. Highlighting the world of tech start-ups and the large sums they can sell for in a short space of time, he says: "There is potential scale in a concept that can be rolled out, and that is attractive commercially. These accounts can yield relatively modest PR profits, so this can be a way of increasing returns." While a move to investing in client businesses as well as invoicing may be a new fee model, Waddington argues that a more fundamental shift is needed to avert a fee crisis. This involves the longer-term process of changing what PR stands for, with high-level strategic advice not just the mandate of the larger agency groups, but industry-wide. "We are seeing a trend in which the media relations aspect of PR is becoming commoditised and facing price pressure," Waddington says. "Where there is growth and value for agencies is in moving upstream as far as possible to the objectives of the business, shifting from media relations to strategic consultancy." Such a shift takes years, not months. 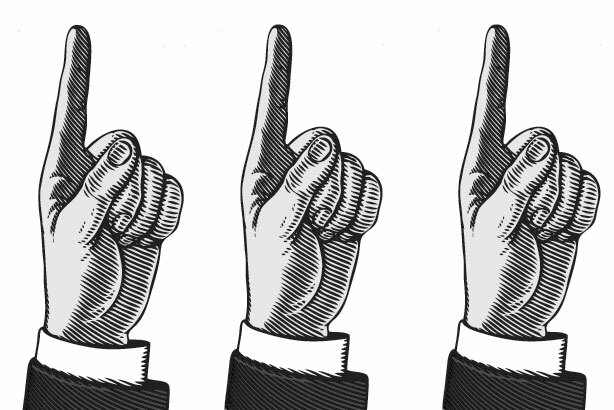 But one thing is clear: for an industry where measurement is increasingly crucial, continuing to stick a finger in the air will not bring a wind of change.